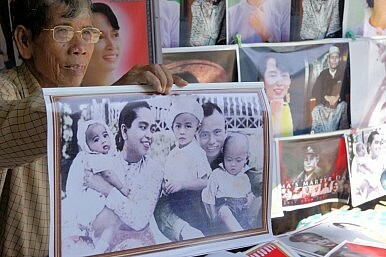 As Myanmar’s historic elections approach, the military’s role in the country’s politics should not be underestimated. As the adage goes, old soldiers never die, they just fade away. But in Myanmar, they don’t. Many a retired officer of the armed forces (or Tatmadaw) retains considerable political clout long after leaving the service. Looking at the profiles of the 6,000-odd candidates running for office in Myanmar’s November 8 elections, this trend will not decelerate. At least 170 retired senior officers are vying for a seat in either the Union legislature or one of the 14 provincial assemblies. Two thirds of them graduated from the Defense Services Academy (DSA), Myanmar’s prestigious military academy. This figure seems inconsequential – accounting for less than 3 percent of the candidates. However, among these military-veterans-turned-aspiring-legislators stand many high profile members of Myanmar’s military establishment. Many have a solid chance of capturing a seat. Two 4-star generals – the current speaker of the lower house Thura Shwe Mann, and Hla Htay Win, the recently retired chief of the general staff – are contesting a seat in the lower house. Three former commanders-in-chief of the Myanmar Navy (Soe Thane, Nyan Tun – an IMET graduate of the U.S. Naval War College – and Thura Thet Swe), as well as a former Air Force chief, Myat Hein, are also candidates. Thirty more retired generals will seek an electoral office this November. The Tatmadaw has served as the core channel into policymaking since it first seized power in 1958. Despite a rising criticism of the systematic transition of active and retired military personnel into the political and administrative realm – best epitomized by the quiet, yet popular “ribbon movement” that has recently emerged in several ministries – former generals and colonels remain in firm control of most positions of authority throughout the country. Given the dramatic increase in the number of commissioned officers in the Tatmadaw since the 1990s, high-ranking retired soldiers form a vast pool of relatively well-trained and obedient bureaucrats sharing common doctrinal views. Many hunt for a second career that would enable them to keep a certain level of social status while maintaining crucial privileges. This phenomenon might point to a broader and more sophisticated intrusion into politics of the Tatmadaw in coming years, especially if the broadening of the political space expands after upcoming polls. As observed in other post-military societies, former high-ranking officers engaged in politics often espouse diverse policy views and tend to progressively favor personal interests over that of the military institution they once belong to. Yet, Myanmar might have to wait a little longer for the coming of that “one brave soldier” who would drag the country away from the claws of its armed forces, as Aung San Suu Kyi once put it. Over the decades, Myanmar’s senior officer corps have been socialized into believing that the Tatmadaw shall remain the sole and uncontested embodiment of the state. Certainly, soft criticism of the past mischiefs of military personnel has timidly emerged among the 60-odd military retirees currently holding a seat in the Union parliament – primarily on land grabbing issues. But this is not a direct challenge to the continuing political intervention of the armed forces. Retired senior officers expressing discontent may only aim to adjust the trajectories of Myanmar’s civil-military relations, not hurt the organization that propelled them into the highest levels of Myanmar’s polity. If they do, then as the case of Thura Shwe Mann illustrated earlier this year, they fall into disgrace. Indeed, the Tatmadaw leadership, under the aegis of General Min Aung Hlaing since 2011, seems to expect that in the first years of their retirement former officers elected to a civilian post would maintain a strong organizational loyalty to their previous institution. It is thus no coincidence that 10 out of the 14 colonels who were appointed ministers for border and security affairs in Myanmar’s fourteen decentralized states and regions in 2011 were recently ordered to retire and join the ranks of the ruling Union Solidarity and Development Party (USDP). Strategically, they are now competing for a seat in the provincial parliament corresponding to the state or region to which they had last been assigned. The same pattern is observed at the Union level. Military-appointed cabinet ministers and deputy ministers – three ministries in Myanmar’s Union government constitutionally fall under the control of the military: Defence, Home Affairs, and Border Affairs – recently shed their khaki uniform to enter electoral politics. Two former ministers of defense (Hla Min and his successor Wai Lwin) and one of their deputies, Kyaw Nyunt, have just left the army to contest a seat in the lower house. The minister of border affairs, Thet Naing Win and his deputy, Tin Aung Chit also retired and became USDP candidates, respectively in the Mon state and Magwe region. A handful of military legislators have also followed a similar path, although none of them have held high command positions in the armed forces. As army-appointed representatives in the first parliament that emerged after the junta was disbanded in 2011, they gained legislative experience they do not hesitate to highlight in their ongoing campaign. Two former senior officers, who represented the Tatmadaw in the upper house, brigadier Kyaw Lwin Oo and colonel Thein Htike, are now candidates in the Thanintharyi and Irrawaddy regions. Ex-major Soe Moe, an ethnic Rakhine, is running for the USDP in Kyauktaw against powerful Rakhine nationalist candidates. Interestingly, two senior retired officers will compete with each other in only a handful of constituencies, as if the candidate selection had been carefully supervised by the military establishment. The USDP apparatus relies on the most extensive list of military veterans, but twenty prominent Tatmadaw retirees will also run as independent candidates. This can partly be attributed to internal shenanigans within the USDP and intra-party elite rivalries. A few ambitious former high-ranking officers did not receive the approval of the USDP establishment – chaired by Thura Shwe Mann until last August – for the safer constituencies they were eyeing. Prominent among them are retired admiral Soe Thane and ex-general Aung Min, both ministers in President Thein Sein’s office, as well as ex-brigadier Kyaw Lwin Oo, the outgoing military whip of the upper house, Khin Maung Oo the current chief minister of the Kayah State, and several members of Naypyitaw’s Council. Startlingly, all are said to be loyal supporters of the outgoing president and, save one, none will compete against another high-profile army veteran in their respective constituencies. Half-a-dozen military retirees have also joined the National Development Party (NDP) of Nay Zin Latt, himself a former officer. The NDP has even attracted one incumbent USDP legislator from the upper house, a retired lieutenant colonel and DSA graduate. Other political parties, including Aung San Suu Kyi’s NLD, the Diversity and Peace Party (DPP), the Myanmar’s Farmers Development Party (MFDP), and the National Democratic Force (NDF) can each count on fewer than five candidates with a proven military background. Ethnic Chin, Karen (Kayin) and Tai Lai (Red Shan) parties have also drawn a couple of retired police officers and rank-and-file veterans. Although representing a small contingency of the outgoing 664-seat legislature, the high-profile retired officers elected in 2010 have captured a disproportionate control over the legislative bodies and, ultimately, the “post-junta” executive branch formed in 2011. Besides the Union presidency, ex-soldiers grabbed the two speakerships of the bicameral parliament, as well as the chairmanship and secretariat of most Union-level legislative committees. Even as a minority, retired officers will most probably remain a powerful factor in the next legislature. If the NLD fails to aggregate enough parliamentary seats and across-the-board support to capture at least a few speakerships in the Union and provincial assemblies, military veterans will also certainly be spotted in most positions of authority in the country’s post-electoral landscape next year. This is indeed where power continues to lie in Myanmar’s new political order and there are no serious reasons to be optimistic about dramatic transformations after the upcoming polls. The degree of politicization of the Tatmadaw officer corps is such that no fundamental alteration in the civil-military equation can be expected without a thorough re-socialization of Myanmar’s men in uniform. In other words, Tatmadaw soldiers will have to be trained according to values and codes that are basically foreign to Myanmar’s current realities. This will take time, if it happens at all, given the countless reasons that can still justify a deeper and everlasting political intervention of the armed forces in the eyes of its leaders. Policymakers on the international scene who are reluctant to shake hands with serving and retired members of a military institution much despised for its unrelenting intrusion into Myanmar’s civilian affairs will take note. Renaud Egreteau is a Fellow at the Woodrow Wilson International Center for Scholars in Washington DC. His latest co-edited book, Metamorphosis: Studies in Social and Political Change in Myanmar (NUS Press 2015) has just been released. He Tweets at @R_Egreteau.